We love creative solutions to problems. Example, British artist Pete Dungey. 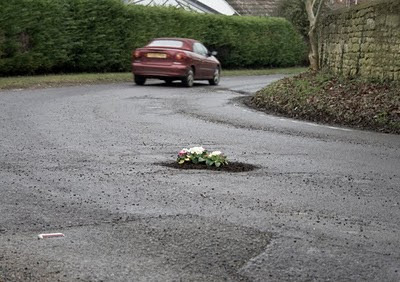 To highlight the problem of "surface imperfections" on Britain's roads, he created a series of public art installations in the form of pothole gardens. 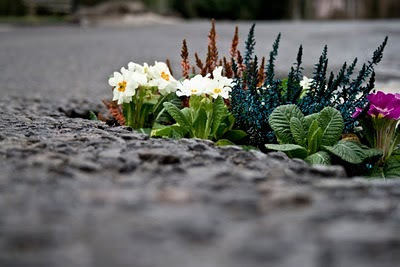 Call it guerilla gardening, art, or plain silly - whatever it is, it made us smile.